We provide performances throughout the year. 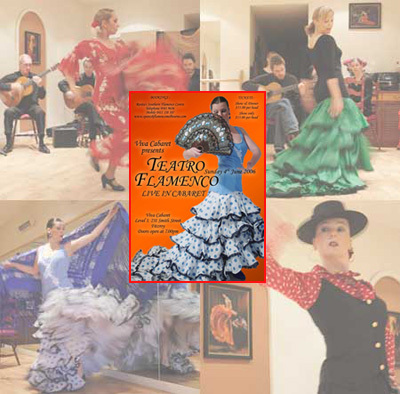 As the only Theatre Flamenco company in Victoria, well known since its inception in 2003 and led by the famous Melbourne Flamenco singer 'El Brujo', 'Teatro Flamenco' has been recognized by its followers as an entertainment spectacle equal to or better than many shows seen in Spain. Be stirred by the passion, grace, sensuality and fire of Flamenco Spanish music and dance.